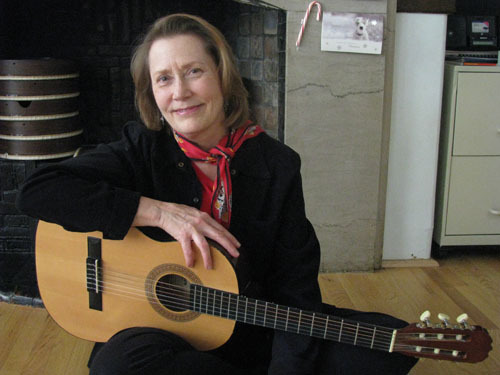 Martha has been teaching Early Childhood Music and Movement at Settlement Music School since 1988. She received a Bachelor of Music from Ithaca College and a Diploma from The Curtis Institute of Music. After a career playing French horn, including 10 years with the Philadelphia Orchestra, she returned to music education and received Orff-Shulwerk graduate teaching certification. She has taken master classes in arts integration, Orff-Schulwerk composition and curriculum development. Ms. Glaze Zook developed the music curriculum for the Kaleidoscope Preschool Arts Enrichment program and led curriculum writing for Children’s Music Workshop at SMS. She advocates for early childhood music education and presents at national conferences for early childhood and music educators. She offers teacher training and professional development for local chapters of music educators. She contributes articles to music education journals and has collaborated on teaching projects in Peru. In 2008 she was named to the Settlement 100 list of distinguished faculty and alumni Honorees.